With World Hoop Day coming up in about 4.5 months, it is time to get the ball rolling for the 4th annual WHD Dance choreography. 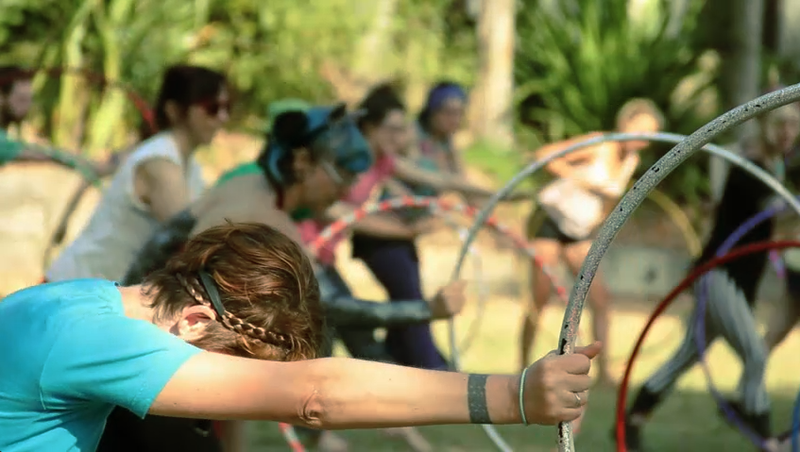 Hundreds of hoopers at Hoopcamp will be learning and filming the dance this year and that is really exciting. I am asking around in the various hooping networks for some collaborative help and I want your ideas, too. What style of music would you like to dance to this year? If you could add one synchronised group move to the dance, what would it be? Any other suggestions or ideas for the choreo? Send in your comments and ideas before June 1, please.